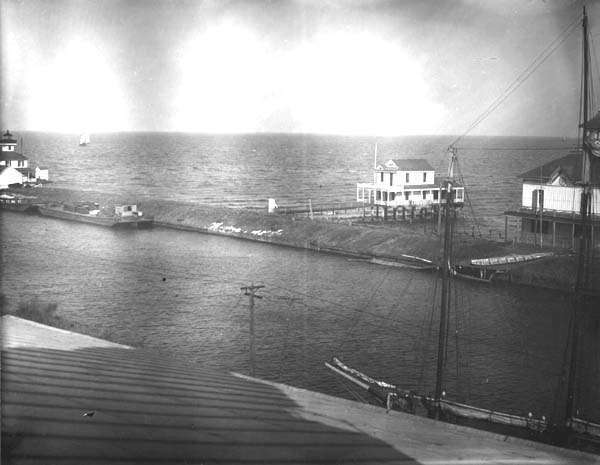 West End at the foot of the New Basin Canal. 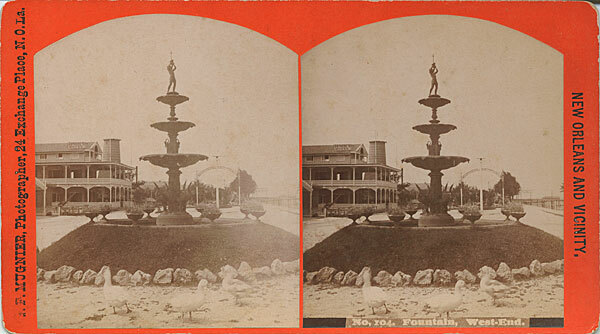 One of several pleasure resorts on Lake Pontchartrain. 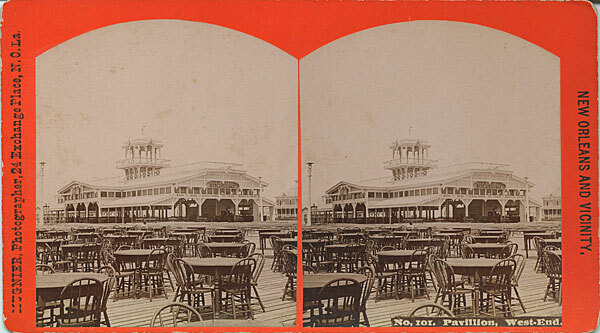 At the time of this print, New Orleanians would have travelled to West End by rail, or they would have taken the Shell Road to listen to music, ride the ferris wheel, or to frolic in the lake like these polo (?!) players. 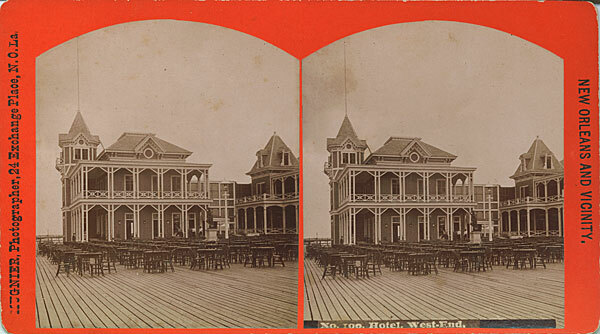 1910 -- 'Scordill' postcard of West End summer & Winter Resort, New Orleans, LA. 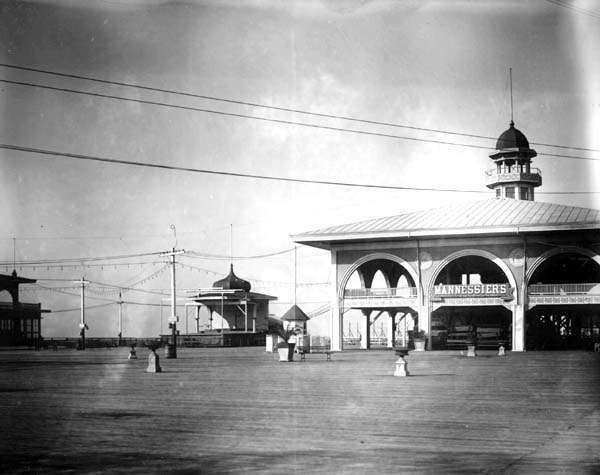 Attractions include amusement rides, Thoms Gate, & the Macki Saloon. 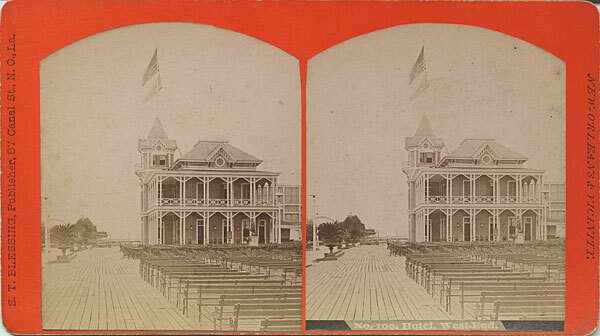 Mannessier's Pavilion at West End. 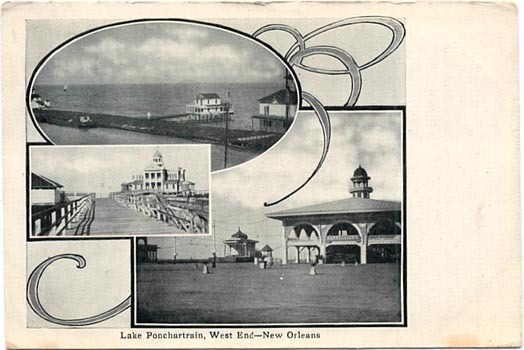 Lake Pontchartrain at West End. Ferris Wheel at West End.